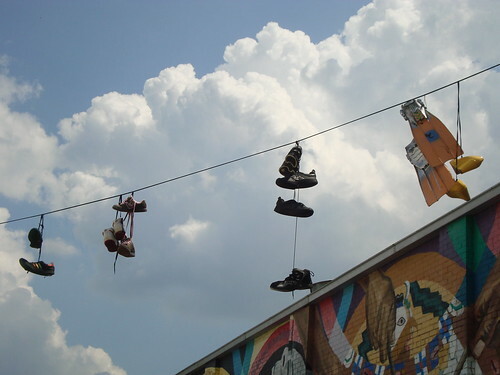 Thanks to a shoefiti reader at UCLA (University of California, Los Angeles) named Sonja for sending over the above shoefiti shot she took while visiting the Little Five Points area of Atlanta. No work on what flippers on a powerline stand for. ← 2 Frat Boys with 1 Girl in 1 Night?